Swapping textbooks for iPads won’t just enhance the learning process for your students. It could help protect them from injury, too. Anyone who’s lugged a bursting school backpack around will tell you about the aches and pains this’ll give you by the end of a school day. And, like Buckaroo, we’re only loading them up with more as time goes on. But, it doesn’t have to be this way – especially when you’ve got iPads on your side! A whopping 95% of school-age folks use some kind of backpack, which is hardly a surprise. But, did you know that most students are bundled off to school with a load (largely made up of books, but also other equipment) that’s equivalent to 20% of their body weight on average? Sure, that’s OK for a one-off, but this can be seriously damaging over time. And, students aren’t helping themselves either. Even with generations of advice from doctors, teachers and parents alike, just 65% of students today wear their backpack across both shoulders. That means the 35% who wear their backpacks over one shoulder are focusing all the force on one small area. The result? 59% of school-age kids complain that they’re suffering some kind of discomfort. Nearly 20% of kids have even missed school or skipped PE because of pain caused by too-heavy backpacks. This discomfort can also have long-lasting effects, potentially leading to an injury or condition that keeps going into later life. What are the benefits of swapping textbooks for iPads? Swapping textbooks for iPads will make a major dent in the amount of stuff students have to drag around each day. That’s not all, though – there are plenty of other advantages, too! 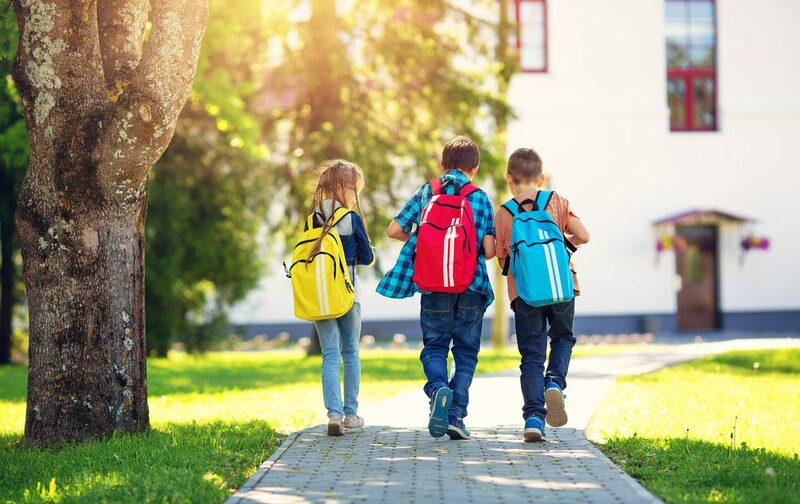 Studies have found kids are going to school with backpacks weighing in at up to 20kg (Washington University in St. Louis), largely comprised of books. Even the heaviest variant of the iPad comes in at a slimline 0.73kg – less than one- twentieth of the weight of some backpacks – while iPad Minis weigh as little as 0.29kg. When you add this to the other items iPads can cover for (like stationery or art supplies), the overall weight saving looks epic. For that meagre amount, students could carry literally hundreds of textbooks with them each day. That means you can completely re-think your approach to teaching. Lighten the load for your students and give teachers a host of new capabilities by swapping your textbooks for iPads with Utility Rentals!